Video of unbelievably fast river of lava from Kilauea volcano in Hawaii on June 16, 2018. More details have emerged about the deadly eruption on June 3, which now ranks as the largest of the volcano in over 100 years. At least 69 people, including three children, have been killed and nearly 300 injured in the most violent eruption of Guatemala’s Fuego volcano in more than four decades, officials said. Sadly, there is plenty of reason to believe that the figures will rise much higher still as many places covered by deep, hot ashes are still inaccessible, and many of the severely injured (skin burns mainly) might not survive. Fuego, whose name means “fire”, spewed an 8km (five-mile) stream of lava and belched a thick plume of black smoke and ash that rained on to the capital and other regions. Dozens of communities on the southern slopes of Fuego were buried in a searing mix of mud, ash and rocks as the explosions continued for over 16 hours. Fresh lava flows hampered search and rescue efforts on Monday, forcing emergency services to withdraw from the area. Hundreds of people remain unaccounted for. Speaking on Monday, June 4, the head of Guatemala’s National Forensic Sciences Institute said 62 people had died, , but only 13 had been identified so far because the bodies were so badly disfigured by flows that reached temperatures as high as 1,300F (700C). Mario Cruz, spokesman for the volunteer firefighter corps, said 3,100 people had evacuated the area on Sunday. Around 1,400 people spent the night in makeshift shelters set up in schools and government buildings. President Jimmy Morales convened his ministers late on Sunday evening and declared a state of emergency in the departments of Chimaltenango, Escuintla and Sacatepéquez. The speed and force of the pyroclastic flows – fast-moving mixtures of gas and volcanic matter – triggered deadly mudslides in the surrounding areas. The majority of confirmed victims so far were from San Miguel Los Lotes, El Rodeo, or Escuintla who died after homes were collapsed by a powerful torrent of lava and mud. The largest pyroclastic flow reached the unusual length of approximately 10 km to the SSE in the continuation of Las Lajas canyon. At least two of the deceased were killed after they stopped to watch the unfolding disaster, according to the national coordinator for disaster reduction. Rescuers in helicopters managed to pull at least 10 people alive from ash drifts and mud flows that were up to the rooflines of some homes, forcing first responders to use sledgehammers to break through the roofs to see if anyone was trapped inside. Initial rescue efforts had been led by volunteer fire fighters on Sunday afternoon as lava began flowing down the mountain’s flank and across homes and roads. Dramatic images showed a fast-moving current of pyroclastic material and slurry, slamming into homes and bridges in and around the towns of Sacatepéquez and Escuintla, which were left charred. It is the second time the volcano has erupted this year, setting off loud explosions and spewing ash into the sky. Ash blanketed cars and houses in the nearby villages of San Pedro Yepocapa and Sangre de Cristo. Lesser amounts of ash fell on Guatemala City, which is 44km (27 miles) from the volcano. The capital’s La Aurora international airport shut down its only runway. Workers and guests were evacuated from the La Reunion golf club. A video circulating on social media showed a black cloud of ash rising from just beyond the golf club. The huge plumes of smoke that could be seen from various parts of the country and the ash that rained down in four of Guatemala’s departments caused some alarm among residents. “It is important to remain calm because the Fuego volcano erupts throughout the year,” said David de Leon, spokesman for the National Disaster Prevention Authority. De Leon said a change in wind was to blame for the volcanic ash falling on parts of the city. Domingo López, who escaped with burns on his feet, told local newspaper Prensa Libre that his community was covered in molten ash. “I cannot believe this, it’s never been so bad,” he said from a shelter. An estimated 1.7 million people – just over 10% of the population – are at risk from ash, toxic gases and waste emanating from the eruption. The government has declared three days of mourning. 03 June, 2018 Guatemala´s Fire Volcano Erupt Its reported 6 dead and 20 Wonded so far. At least six people died in the community of Los Lotes, the capital of Escuintla, when their homes were hit by a flood, a mixture of lava and mud, the product of the eruption of the Volcán de Fuego, which erupted on Sunday. In the four weeks since Hawaii's Kilauea volcano began erupting, over 80 homes and other structures have been destroyed, and it appears by warnings from local authorities, that the eruption is moving to a more dangerous phase. Hawaii County ordered all residents of a designated portion of the hard-hit Leilani Estates development to evacuate by Friday morning or face possible arrest. Big Island Mayor Harry Kim declared a roughly 17-block swath of the estates “off limits indefinitely” and gave residents 24 hours to evacuate. Anyone found in the area after that time is subject to arrest. The lava flow from fissure 8 is wide and feeding multiple flow lobes that are slowly moving downhill. Fountaining lava heights are continuing to reach 230 to 260 ft above ground level and at much higher than normal temperatures. Lava flows up to 10-feet high are advancing at variable rates. The speed of these lava flows has been up to 100 yards an hour, but they advance in bursts: at times the front does not move as new incoming lava is building up the flow until it becomes unstable and the lava suddenly surges forward at speeds as fast as 600 yards an hour. In addition to spewing ash, fountaining lava and bursting lava bombs, the ongoing eruption is even creating its own weather. Hawaii Volcano Observatory Scientists are beginning to observe 'pyrocumulus' clouds forming over the Leilani Estates fissure system. Some residents are reaching their boiling point. A man was arrested after pulling a gun on a neighbor and shooting it during an argument. Sixty-one-year-old John Hubbard is now under arrest, accused of opening fire and allegedly assaulting a neighbor who came to check on his property. The victim was injured, but was not shot. “There’s no sign we’re getting that anything is going to slow down,” Stovall told reporters. For those of you you are #Yellowstone watchers...#Steamboat #geyser is experiencing a water eruption again. Right now. It started at about 9:49 PM local time. Approximately 90 minutes after eruption is when increased discharge is seen at the Tantalus stream gage. Follow along at https://waterdata.usgs.gov/mt/nwis/uv?site_no=06036940, but note that there is also some precipitation that is resulting in an increase in water flow, too. Seismic record is from station YNM at the Norris Museum. The thick trace at the bottom of the record denotes the eruption. The U.S. Geological Survey said the Steamboat Geyser erupted just before 4 a.m. Sunday, its fifth eruption so far this year. At the summit, a large explosion happened at around midnight on Friday night (May 18) into Saturday, sending a plume of volcanic gas some 10,000 feet (two miles, or 3 km) into the air. Early in the day on May 20, media outlets were reporting the first serious injury from Kilauea. The injured man was sitting on a balcony at his home when “lava spatter” – projectile molten rock – landed on him. “It hit him on the shin and shattered everything there down on his leg,” a spokeswoman for the county mayor said. Lava spatters can weigh “as much a refrigerator,” she told Reuters. The man has reportedly been hospitalized with serious injuries. Even the wispy edges of it can cause skin and eye irritation and breathing difficulties. Eruption of lava and ground cracking in the area of Leilani Estates subdivision continues. Beginning yesterday and into today, the rate of lava eruption has increased. Fissure 17 is weakly active now, and Fissures 16-20 have merged into a continuous line of spatter and fountaining. Flows from the consolidated Fissure 20 crossed upper Pohoiki road late yesterday afternoon and continued flowing southward. This afternoon two flows from the merged fissure complex have joined less than a mile from the coast and continue to flow southward between Pohoiki and Opihikao Roads. The lava flow from Fissure 18 is stalled. It is unknown whether the flows will continue to advance, or stop, and new lava flows are likely given the rate of activity seen at the rift zone. 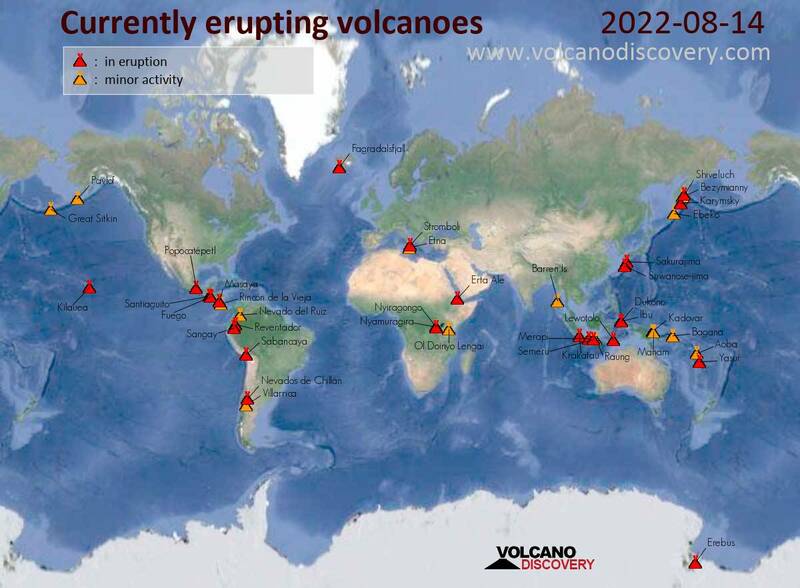 Volcanic gas emissions remain very high. More than 1,700 people have already evacuated their homes, particularly in the area around Leilani Estates, located in Hawaii’s District of Puna, where 27 homes had been destroyed as of May 9. Hawaii's Kilauea volcano erupted from its summit before dawn Thursday (May 17), shooting a dusty plume of ash about 30,000 feet into the sky. The explosion came at about 6 a.m. local time (12 p.m. ET) after two weeks of volcanic activity and the opening of more than a dozen fissures east of the crater that spewed lava into neighborhoods, said Mike Poland, a geophysicist with the U.S. Geological Survey. Residents who live in a nearby town reported light amounts of ash falling following the eruption..."
".. An Ashfall Advisory means that ash accumulation of less than one quarter inch is expected on boats. It is recommended that vessels be prepared to take appropriate counter measures before putting to sea or entering the advisory area. Two weeks after a series of cracks began opening beneath the area, the lava from Kilauea is showing no sign of stopping. Wednesday afternoon, open pits or "vents" of lava roared and threw cinder-like ash into the surrounding jungle, igniting smoldering forest fires. The lava seeping from Kilauea has forced the evacuation of nearly 2,000 people. More than two dozen homes have been destroyed in the rural Leilani Estates neighborhood area about 35 miles from Hilo, the island’s largest city. The volcano is in Hawaii Volcanoes National Park, which has been closed since May 11..."